A Smithfield operation in Missouri. A Wikimedia photo. 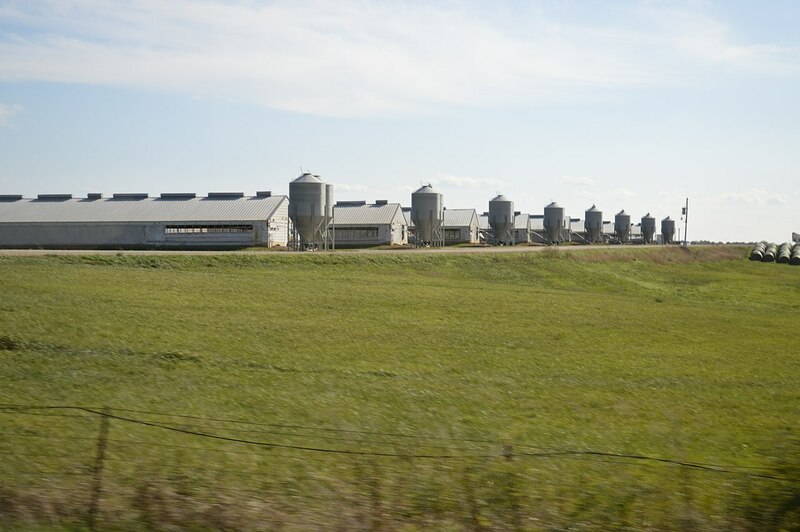 A third lawsuit against Smithfield Foods had found the company guilty for “unreasonable nuisances they suffered from odors, flies and rumbling trucks.” A federal jury placed the fine at $473.5 million to six neighbors of pig farms. STORY HERE. 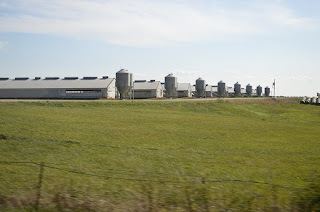 A critique of hog industry expansion in Manitoba. Part 11 - Government subsidies. Part 111 - The consequences of animal diseases, worldwide. Part 1V - The environmental costs of an expanded hog industry in Manitoba. Part V - Who’s behind Manitoba’s drive to expand? Click here and find out! Is Manitoba's factory hog industry becoming its own worst enemy? Good! I wonder if Canadians will ever stand up in this way and put such enemies-of-the-environment in their place?